Happy St. Patrick’s Day and may the Luck O’ the Irish be with you. I probably should have picked a quote from an Irish poet today but this one by Emerson on life hit home. 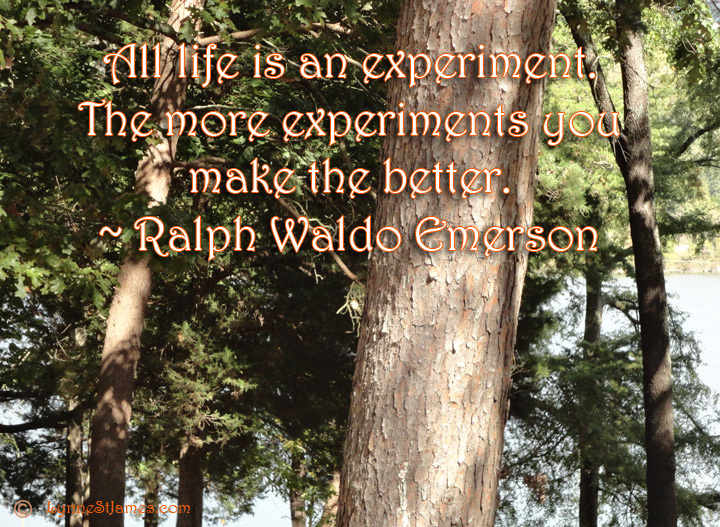 I know I’ve experimented plenty in my life and even started over a few times. Each time I learned from the time before – I guess you can’t ask for more than that. I believe that there is always the possibility of more – that until we’re no longer living there are still chances to grow and accomplish things and live out our dreams. How about you? How do you look at your life? Do you see all the options which are available or do you feel you’ve done all you can?